La Pietà (1499) is a masterpiece of Renaissance sculpture by Michelangelo in St. Peter's Basilica in Vatican City. 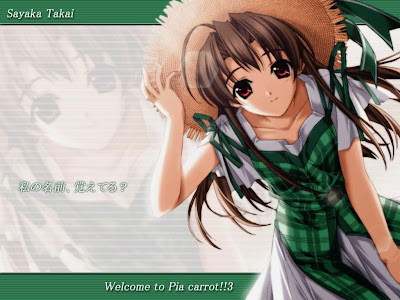 Welcome to Pia Carrot (Pia♥キャロットへようこそ! 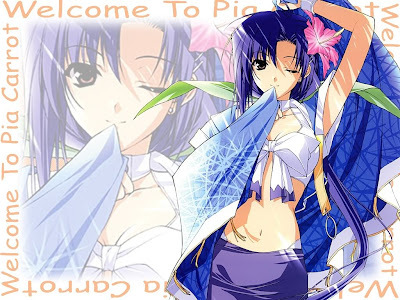 !, pia♥kyarotto he youkoso?) 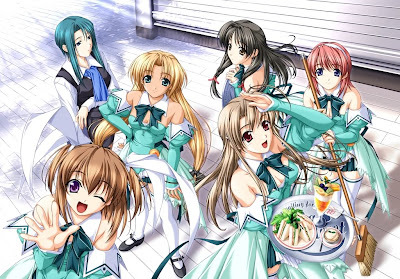 is a Japanese visual novel series by Cocktail Soft (a part of F&C, later F&C FC02). 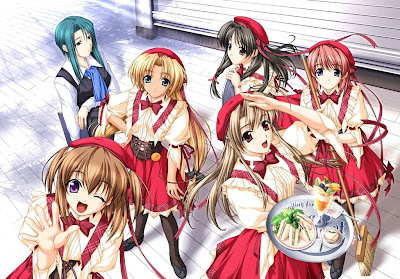 The games are all set around restaurants in the fictional "Pia Carrot" chain, and most of the female characters are waitresses at these restaurants. The individual restaurants in the chain are called "1st", "2nd", etc. 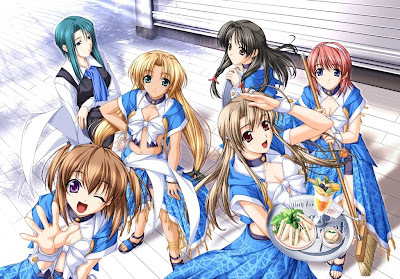 The series is an eroge and anime have been based on it. 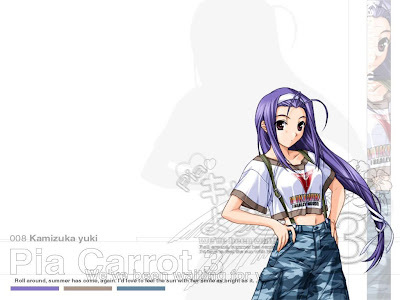 The first game in the series is called Welcome to Pia Carrot and was initially released in 1996 for MS-DOS on the NEC PC-9800 Series and for Windows 3.1. 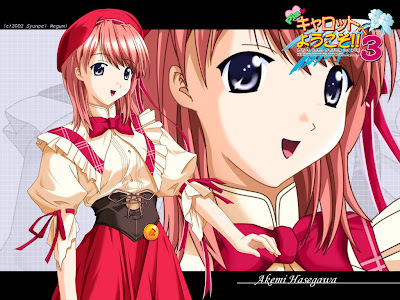 The game was later released for the PC-FX in 1997, and for the Sega Saturn in 1998 by KID. 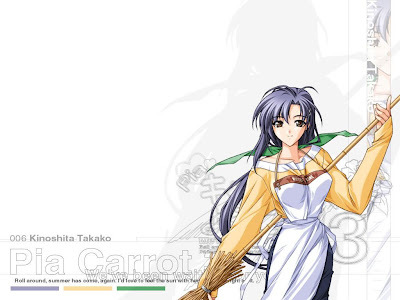 There is also an adult OVA with 3 episodes based on this title. 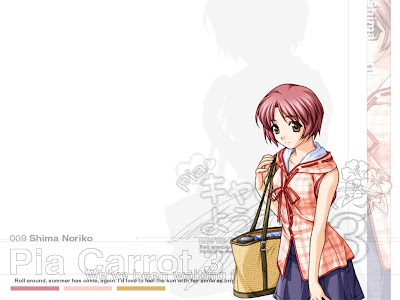 Welcome to Pia Carrot 2 is the first true sequel to "Pia Carrot" and is set four years later in game time than the first game. 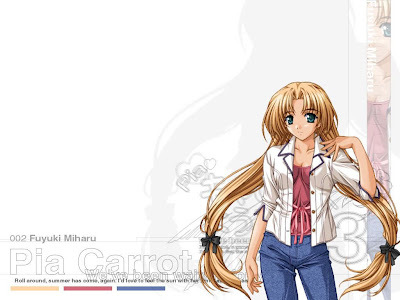 The original version (released in 1997) was for Windows 95 and it was also released for Sega Saturn (1998 by NEC Interchannel), Windows 2000 (2001 by F&C FC02: this version also runs on Windows 95, 98, 98SE and Me) and the Sega Dreamcast (2003 by NEC Interchannel). 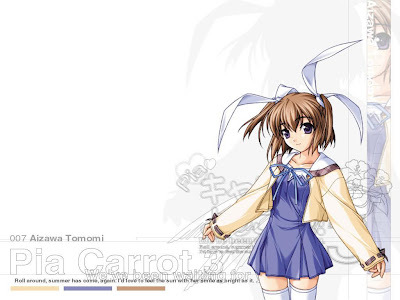 The Dreamcast release is the same as the first disc of the previously released "Pia Carrot 2.5". It is well known for its theme song "Go!Go!Waitress". 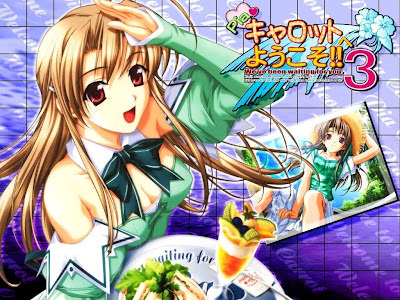 Two OVAs based on this title were released. 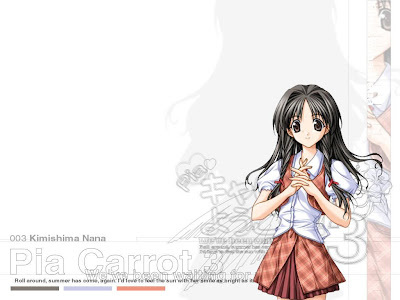 The first being an adult title with 3 volumes, and the second ("Welcome to Pia Carrot 2 DX") was a regular series with 6 volumes.